Russian President Vladimir Putin has ordered waiving value-added tax (VAT) off fares to Kaliningrad, the Russian exclave city in Eastern Europe. Thus reads a transcript of a meeting on transport infrastructure development posted on the Kremlin’s website. Speaking to the heads of relevant ministries, Putin stressed that Kaliningrad Region is Russia’s only exclave territory, and that it experiences “certain difficulties in communication [with mainland Russia].” He added that air services to Kaliningrad require a special regime that would be beneficial to both ordinary people and to business, and would help increase passenger traffic to that destination. Following disussions, Putin summed up that VAT should be lifted. At present, government subsidiesgovernment subsidies cover routes between Kaliningrad and three destinations: Moscow, St. Petersburg, and Yekaterinburg; these apply to all Russian citizens. In the first half of 2017 almost 300,000 passengers used the service, up 4% year-on-year, Transport Minister Maksim Sokolov told the meeting. Similar benefits are theoretically available on other flights from Kalingrad, including to Sochi, Murmansk, Arkhangelsk, and Kaluga. 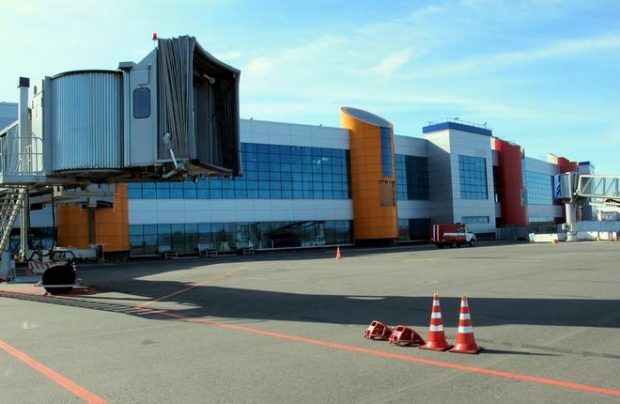 Over 340 million rubles ($5.759 million) in subsidies has been allocated for flights to and from Kaliningrad this year. A further 370 million is to be allocated in 2018. The 0% VAT rate is currently only effective on routes to Crimea. A reduced rate of 10% VAT applies to fares on all the other routes inside Russia. In June 2017 Prime Minister Dmitry Medvedev prolonged the reduced rate regime until December 31, 2020. He also instructed the Transport and Finance ministries to look into the possibility of brining VAT down to zero on all flights within Russia. The Transport Ministry has promoted the intiative since 2015. This week presidential aide Igor Levitin announced that the move will be discussed at the end of this year. Regional airports have been lobbying for waiving VAT on direct routes between Russian regions, as distinct to connections via Moscow. Zero VAT already applies to railway fares, an continue in effect until 2030.